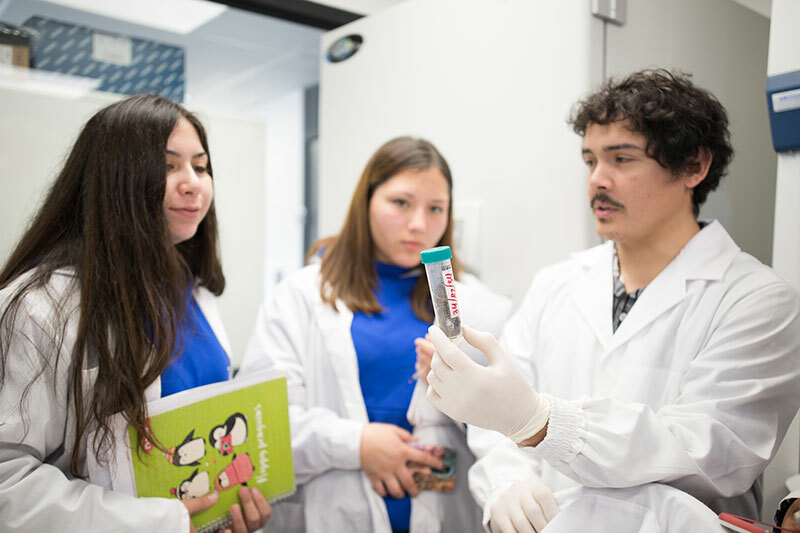 As part of its goal of opening its doors to the community, Viña Concha y Toro´s Center for Research and Innovation (CRI) has been working with girls and women from schools, agricultural colleges and universities for over a year to transmit their passion for science as a tool for innovation. According to UN data, less than 30% of researchers in the world are women. 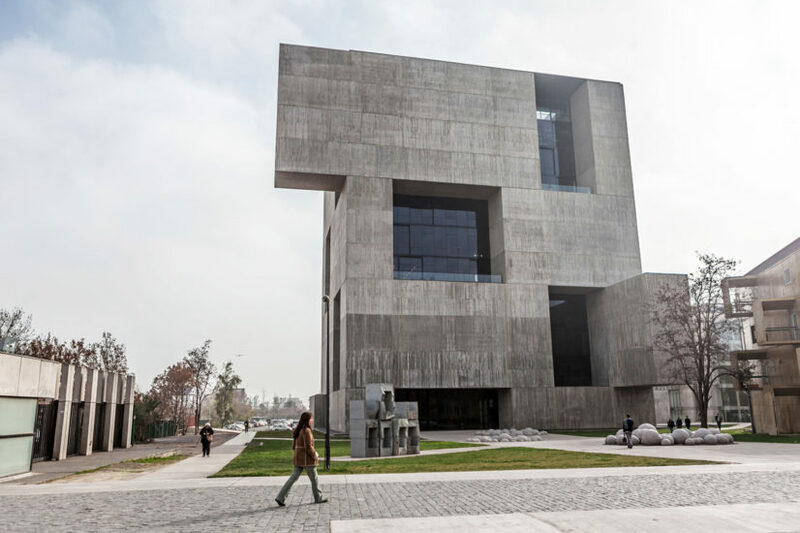 That is why February 11th has been established as the International Day of Women and Girls in Science, with the aim of promoting the inclusion of women in this area of ​​study. 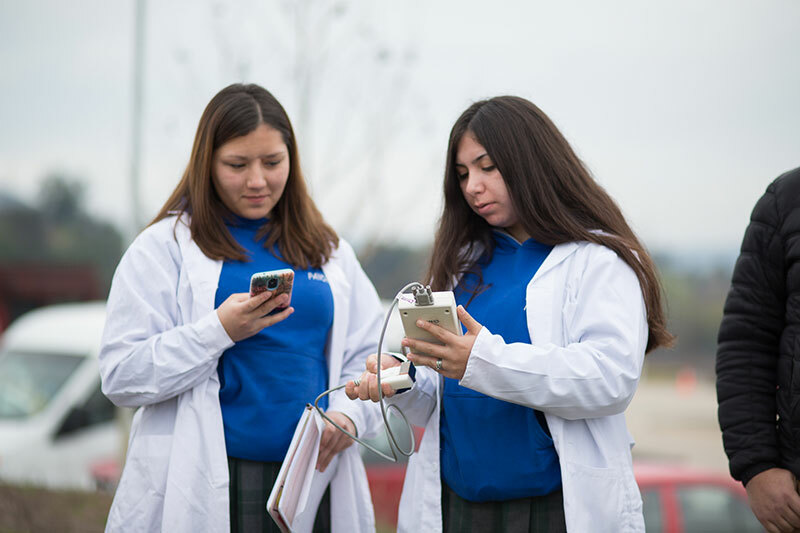 Around the world, advances are being made to create opportunities for girls and women who have an interest in science, who want to contribute from their research areas and grow in their scientific careers. 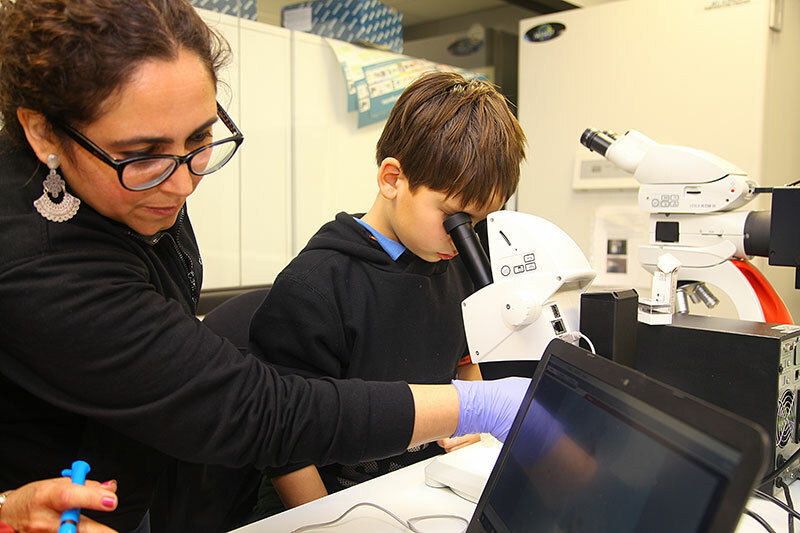 At the CRI, researchers like Rosa Roa, Agronomist, PhD in Sciences with a mention in Plant Genetic Engineering, show that women have all the tools to pursue a career in science and make a valuable contribution to the generation of new knowledge. Paulina Arraño demonstrating how vines are prepared for phytosanitary analysis. 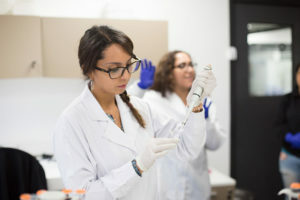 Paulina Arraño, Biotechnology Engineer and Master in this same area, works every day to advance in the study of the phytosanitary status of the vines in the Molecular Biology Laboratory. 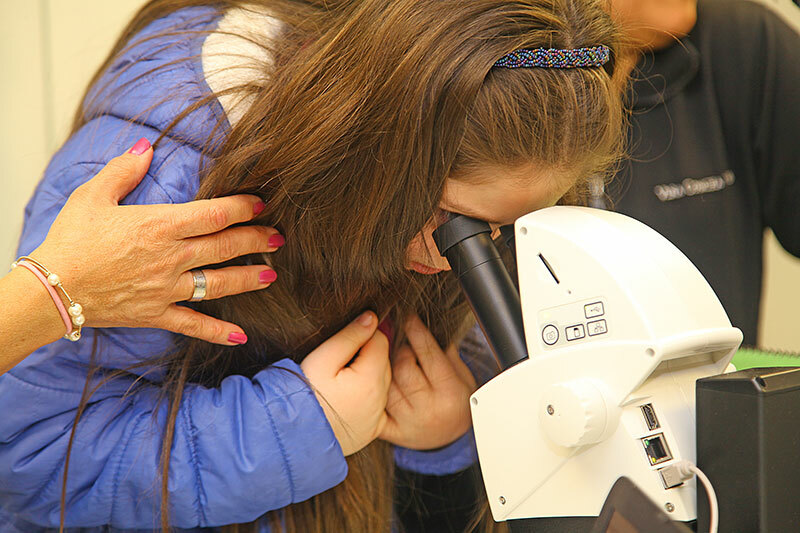 Like her, many girls who visit the CRI have become interested in these issues and aspire to become scientists in the future. 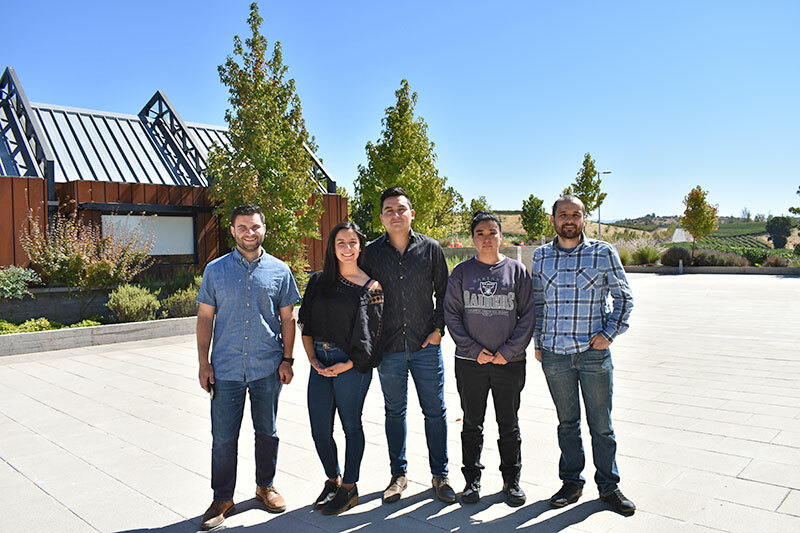 Through its program of educational visits, the CRI has managed to transmit to students of different levels the importance of science, in this case, applied to viticulture. To move towards a more sustainable, responsible and prosperous future, it is necessary to have all the available talents. More women in research will bring greater diversity to the teams, with new visions and different creativities. 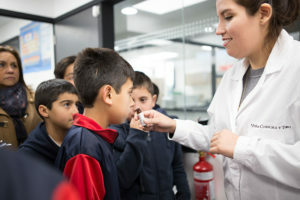 Leslie Moya, Execution Engineer in Chemistry, explains to the students of Corinto School how to identify aromas from chemical extracts.